With this private Lampang temple tour from Chiang Mai, you'll get to visit not only 4 top temples in this Northern hidden gem. We'll also enjoy a panoramic mountain view from one of the temples, learn about local life in the old days at a stunning wooden house, and taste authentic Northern Thai food at one of Lampang's signature restaurants. All menu items are subject to seasonal availability. Please always inform your Local Expert of your food allergies and dietary restrictions. Start our private Lampang temple tour. Visit the first temple, Wat Pong Sanuk. Wat Pongsanuk is a beautiful Burmese-style temple and ages over a thousand years old. Tour Wat Phra Kaew Don Tao Suchadaram. This architecture style of Wat Phra Kaew Don Tao Suchadaram is a unique mix between Lanna (Northern Thai), Burmese, and Shan. The famous Emerald Buddha of Wat Phra Kaew in Bangkok was once housed here. Visit Wat Chedi Sao Lang. Chedi Sao Lang is Northern Thai for 20 chedis (pagodas), hence the temple name. Admire the Lanna and Burmese architecture styles. Baan Sao Nak is an ancient wooden house with 116 teak pillars. Learn about the local way of life from antiques in the house. 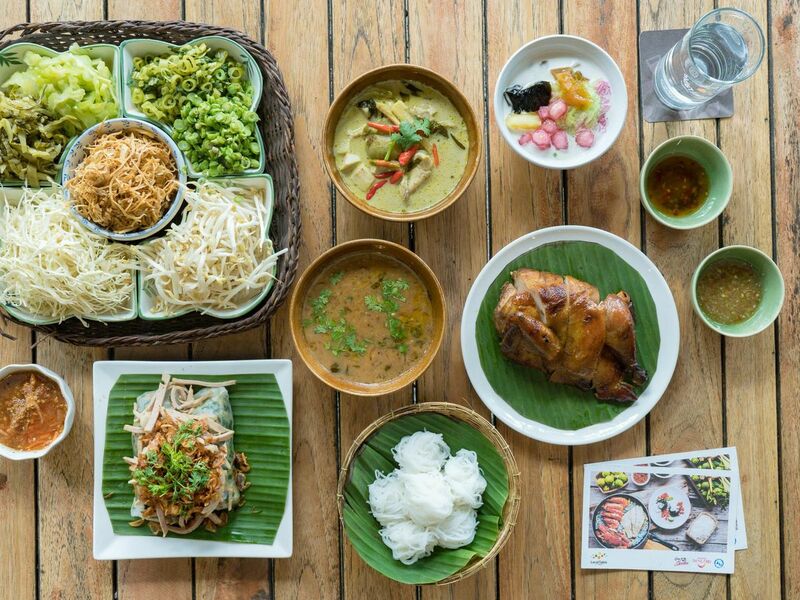 Have Northern Thai-style lunch at Krua Mookda. Head to the hilltop temple, Wat Phra That Doi Phra Chan. See a panoramic view from Wat Phra That Doi Phra Chan. Head back to Chiang Mai. Visit most famous temples of Lampang and learn local life. Polite dress to go to the temple.